PVC compounds also known as a dryblend are based on the combination of the PVC and additives that give the formulation necessary for the end-useapplication. The convention in recording the additive concentration is based on parts per hundred of the PVC resin (phr). The compound is generated by intimately mixing together the ingredients, which is subsequently converted into the gelled article under the influence of heat (and shear). Depending on the type of PVC and additives, the compound prior to gelation, can be a free-flowing powder/dry blend or a liquid in the form of a paste or solution. PVC compounds can be formulated for flexible materials using plasticisers, called PVC Plasicized Compounds and for rigid application without plasticizer called UPVC compound. PVC pipes -fitting, electric wire and cable, uPVC pipes-fittings, PVC clothing, PVC furniture, PVC medical tubes and parts, PVC flooring, PVC door-window, PVC footwear, PVC blister film, PVC rigid sheet, PVC flexible film, PVC packaging film, PVC lamination film, PVC stretch film, PVC shrink film, PVC celuka foam board/sheet, PVC WPC sheet, PVC WPC profiles/chokhat, PVC free foam sheet, advertising flex banner, PVC suction-garden tube, PVC rigid/flexible profiles, automotive products and other many application. Description: - PVC Fitting compound also known as a dry blend are based on the combination of the PVC and additives that give the formulation necessary for the end-use application. The convention in recording the additive concentration is based on parts per hundred of the PVC resin (phr). The compound is generated by intimately mixing together the ingredients, which is subsequently converted into the gelled article under the influence of heat (and shear). Depending on the type of PVC and additives, the compound prior to gelation, can be a free-flowing powder/dry blend or a liquid in the form of a paste or solution. PVC compounds can be formulated for flexible materials using plasticisers, called PVC Plasticized Compounds and for rigid application without plasticizer called UPVC compound. Application: - PVC Fitting, PVC Moulding articles and many more customize application. Description:- PVC Film compound also known as a dry blend are based on the combination of the PVC and additives that give the formulation necessary for the end-use application. The convention in recording the additive concentration is based on parts per hundred of the PVC resin (phr). The compound is generated by intimately mixing together the ingredients, which is subsequently converted into the gelled article under the influence of heat (and shear). Depending on the type of PVC and additives, the compound prior to gelation, can be a free-flowing powder/dry blend or a liquid in the form of a paste or solution. 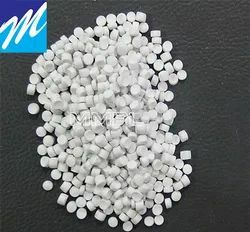 PVC compounds can be formulated for flexible materials using plasticisers, called PVC Plasticized Compounds and for rigid application without plasticizer called UPVC compound. Application: - PVC Blister film, PVC Rigid sheet, PVC Packaging film, PVC Lamination film, PVC Shrink film and many more customize application. Description:- PVC Celluka-Free foam-WPC Foam board-sheet, compound also known as a dry blend are based on the combination of the PVC and additives that give the formulation necessary for the end-use application. The convention in recording the additive concentration is based on parts per hundred of the PVC resin (phr). The compound is generated by intimately mixing together the ingredients, which is subsequently converted into the gelled article under the influence of heat (and shear). Depending on the type of PVC and additives, the compound prior to gelation, can be a free-flowing powder/dry blend or a liquid in the form of a paste or solution. 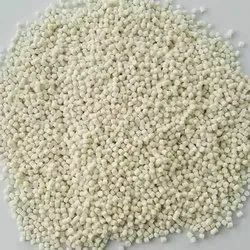 PVC compounds can be formulated for flexible materials using plasticisers, called PVC Plasticized Compounds and for rigid application without plasticizer called UPVC compound. Application: - PVC Celluka Foam Board-Sheet, Free foam Sheet, WPC foam board-Sheet- Chokhat-Profile and many more customize application. 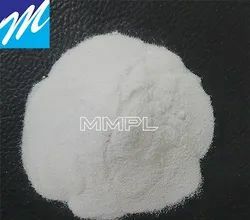 Description: - PVC Medical compound also known as a dry blend are based on the combination of the PVC and additives that give the formulation necessary for the end-use application. The convention in recording the additive concentration is based on parts per hundred of the PVC resin (phr). The compound is generated by intimately mixing together the ingredients, which is subsequently converted into the gelled article under the influence of heat (and shear). Depending on the type of PVC and additives, the compound prior to gelation, can be a free-flowing powder/dry blend or a liquid in the form of a paste or solution. 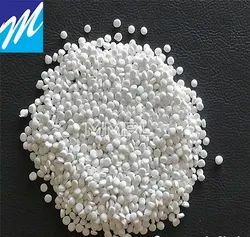 PVC compounds can be formulated for flexible materials using plasticisers, called PVC Plasticized Compounds and for rigid application without plasticizer called UPVC compound. Application: - PVC Medical Tubing, moulding articles and many more customize application. 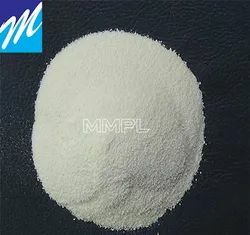 Description: - PVC Electric Wire and Cable compound also known as a dryblend are based on the combination of the PVC and additives that give the formulation necessary for the end-useapplication. The convention in recording the additive concentration is based on parts per hundred of the PVC resin (phr). The compound is generated by intimately mixing together the ingredients, which is subsequently converted into the gelled article under the influence of heat (and shear). Depending on the type of PVC and additives, the compound prior to gelation, can be a free-flowing powder/dry blend or a liquid in the form of a paste or solution. 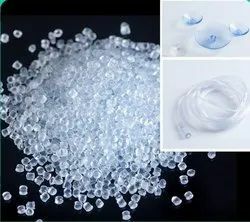 PVC compounds can be formulated for flexible materials using plasticisers, called PVC Plasticized Compounds and for rigid application without plasticizer called UPVC compound. Application: - PVC House hold wire, industrial cable and many more customize application. Description: - PVC Door and Window profile compound also known as a dryblend are based on the combination of the PVC and additives that give the formulation necessary for the end-useapplication. The convention in recording the additive concentration is based on parts per hundred of the PVC resin (phr). The compound is generated by intimately mixing together the ingredients, which is subsequently converted into the gelled article under the influence of heat (and shear). Depending on the type of PVC and additives, the compound prior to gelation, can be a free-flowing powder/dry blend or a liquid in the form of a paste or solution. PVC compounds can be formulated for flexible materials using plasticisers, called PVC Plasticized Compounds and for rigid application without plasticizer called UPVC compound. Application: - PVC Door, Window profile and many more customize application. Looking for PVC Compound-Dry blend ?